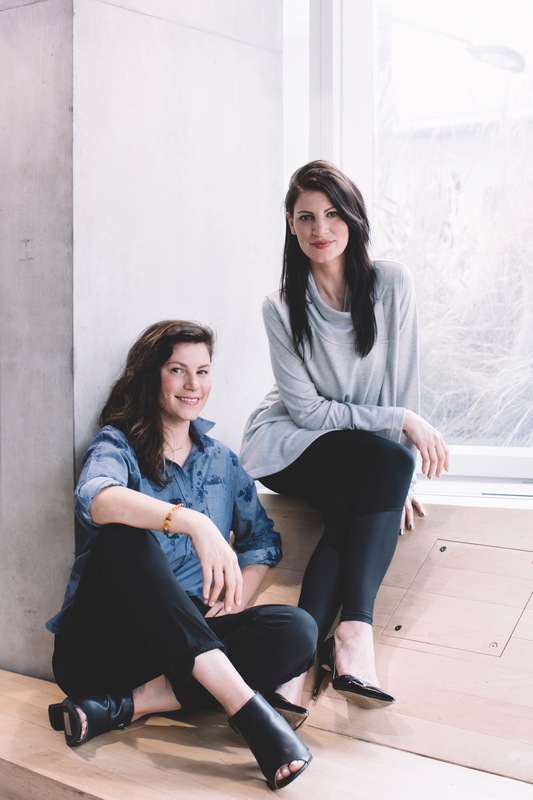 Alex and Lindsay Lorusso are the dynamic twin duo who started Nudnik, a children’s clothing company that manufactures bright, colourful garments from fabrics originally headed for the landfill. Here, they discuss waste management, sustainability, and how fashion can create real change. AL: Prior to starting Nudnik, we worked in the waste management industry for 20 years. During this time, we would see an astronomical amount of fabric enter the waste stream. It was all headed to the landfill. LL: To put this into perspective, in one year, Canada alone could fill the Rogers Centre three times with the amount of material that’s currently being thrown out. This material comes from both retail manufactures and retail stores. For example, when a consumer returns a piece of clothing that’s not re-sold, it becomes textile waste. AL: Witnessing the amount of perfectly good material enter the landfill, coupled with Lindsay having her first child, created our impetus to create a children’s wear clothing line from these pieces of fabric. Nudnik became our solution to this textile waste problem. LL: We grew up with a very entrepreneurial spirit. Our father was an entrepreneur and I always wanted to work for him in the waste management industry. However, the industry is still run by an old boys club, and I was eager to challenge the status quo. My business ideas were met with resistance. That is why it was so important for me to start my own business and bring change. AL: We started our company a year and a half ago, and we encountered many obstacles along the way. For example, the process of upcycling, turning waste into a new product of higher quality, has never been done before in the clothing industry, on a large scale. Part of the challenge when developing this fun, colorful, brand was creating a handbook for the upcycling process at the same time that could be scaled. LL: Once we receive the material, we then work with local manufacturers who sew these bright colourful pieces of material together. These garments are then sold online through a direct-to-consumer business model. AL: Yet, Nudnik is much more than a fashion business. Our goal is to create a sustainable business with zero waste. We want to instill our own personal values of creativity, innovation and outside-of-the-box thinking into the children that we dress. We are building a sustainable company with the goal of doing good business all around; we donate one percent of our sales, to One Percent for the Planet. LL: The word ‘Nudnik’ means little rascal or little pest. However, we view this as a positive. The values that we are trying to instill in Nudnik stem from being a parent myself. I want to raise my sons to understand and fight against discrimination. I want my sons to value and respect women in the workplace. And I want the children that we dress to know that they have a part to play in making this world a better place. AL: When we think of these little ‘Nudniks,’ I think of the larger community we are trying to serve. Our clothes are colourful and genderless. 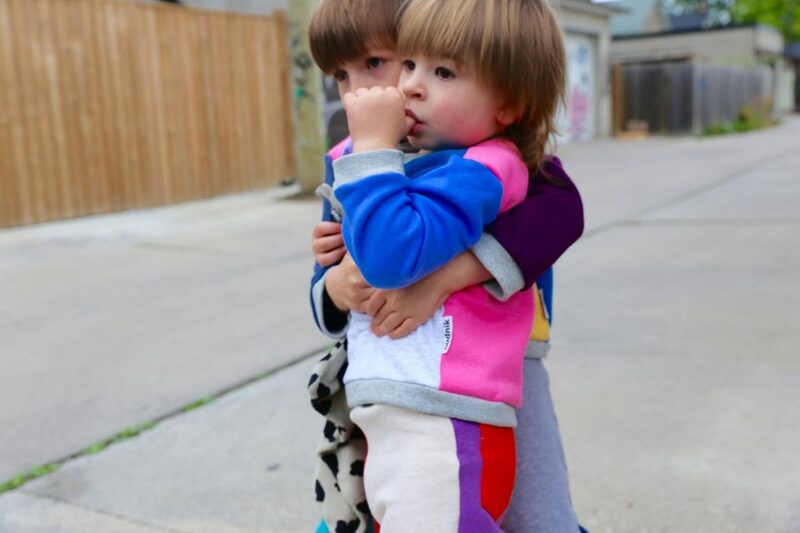 Gender should not dictate what colour one wears and being a unisex line, our clothes are teaching children to stay away from these stereotypes. I believe that through fashion we can breakdown these stereotypes. 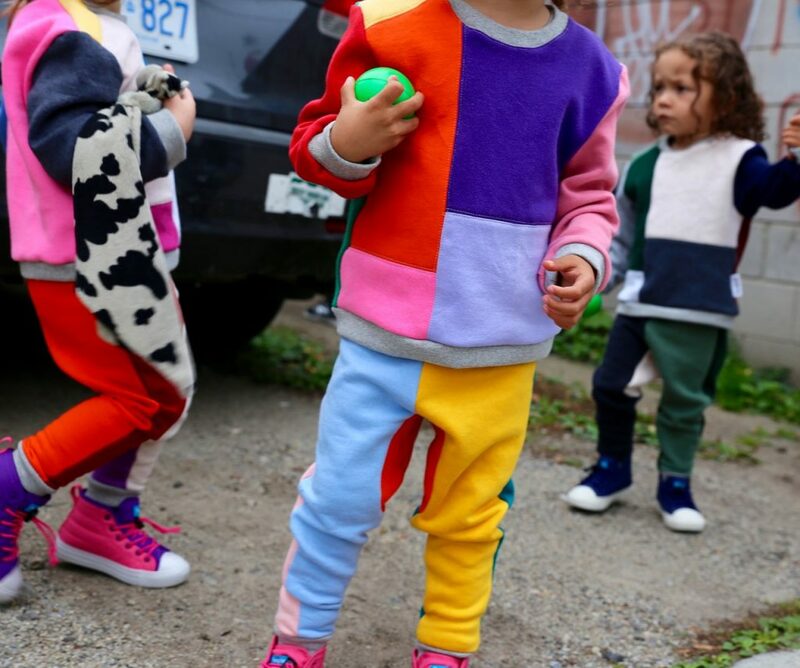 That is why our signature colour-block can be worn by both girls and boys. LL: We also want our clothes to be able to be passed down from generation to generation. This idea of circularity – trying to design for zero waste – remains our ultimate goal.